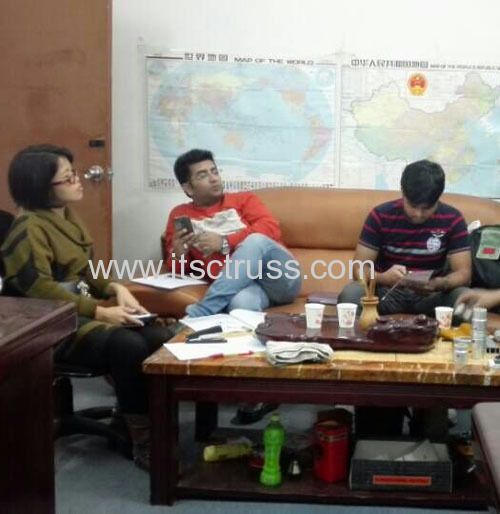 Mr. Nitin Talwar is from Eon Lightingcompany in India, and Mr. Habibur, from Thriller Special Effects company, together with their friend, visited ITSCtruss company on Nov.12, 2014. And we have a happy agreement on the 60x60x32ft truss system with 6 towers, pin truss. The cross truss is 500x600mm, and the pillars are 390x390mm. Later on, we also visited the controller company nearby our company, as well as our friend's lighting factory. Let's work together from now on! 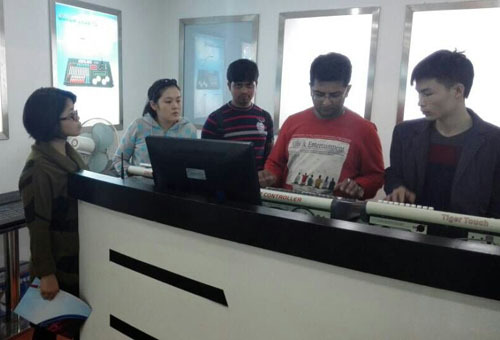 in the photo attached is the site where we visited the controller company.